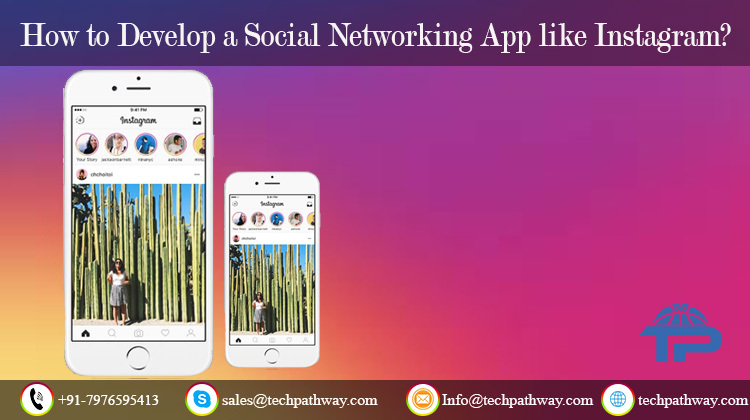 How to Develop a Social Networking App Like Instagram? These days Instagram has become a main platform for people to post and share everything with everyone. It has even developed ‘Travelling’ as a hobby amongst people. This app has conquered the market of photo-sharing platform as well as the attraction of users. 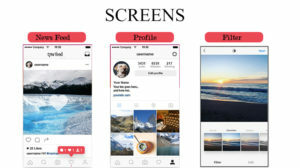 The rapid growth of this application has influenced a lot of businesses and startups to develop their own customized Instagram clone app. Our experienced team of mobile app developers customizes and develop the app as per your requirements. With the aim of offering you the best user experience, our team follows an agile app development process to build top photo sharing app like Instagram. Social Media Plugin: one can easily access the app using social media platforms rather than sign in using email ID and mobile number. Edit Profile: users can edit their username, profile photos, description of the bio and other personal details as well. App Settings: direct integration with other social media platforms allow users to easily connect with the existing friends. The app also focuses on user security and a two-step verification process to avoid any misuse. Activity Log: this feature offers a detailed insight about who the user is following and who are following the user. It also serves the details regarding number of likes and comments user have received from any post. Push Notification: this feature notifies and alert users on everything happening within the app. Capture Images: using this feature, users can capture high quality images and make videos and can use our amazing filters to enrich them. You can also use different emoticons and features to your images/videos. Shoppable Tags in Posts: this feature allows businesses to tag their products in their photos. This can be done with the stories posted by them as well. It is usually very tricky to give you the exact cost of developing an app because different clients have different requirements and the cost varies as per their requirements. But based on the above listed features, an app like Instagram would cost you around $5000 to $10000. In this era, where people are mostly attracted to the different social media platforms, having an app like Instagram would offer you an all-round advantage to instigate your business prospects. You can hire our dedicated team of developers and designers who will develop the right app for your business.